MEZZE Restaurants has nominated The Friends of Bristol Haematology and Oncology Centre’s £2 Million Radiotherapy Appeal as its chosen charity. The family-run restaurant chain which recently opened its sixth restaurant in Portishead, has decided to support the centre’s appeal for a new Linac cancer treatment machine. 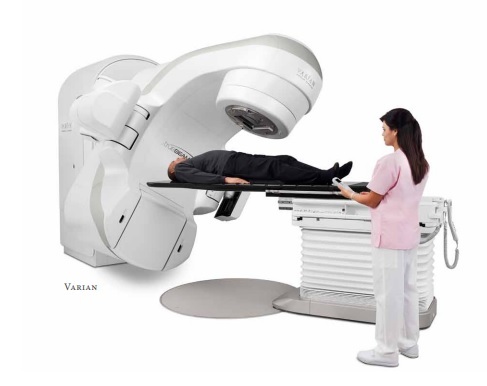 Linac is a new type of scanner which boasts the latest technological advances to treat virtually every shape and size of tumour using thousands of separate radiation beams. In buying a Linac, The Friends will keep Bristol Haematology and Oncology Centre at the leading edge of world-class radiotherapy. Mezze Directors Alex Tryfonos and James Brown said by 2030 it is estimated there will be 4 million people suffering from cancer in the UK and it is vital to invest in new technology. Alex said: “One in three of us will get cancer andfor most it will be the toughest thing we ever face. “With these figures increasing year on year it is vital that we target cancer with world-class technology. “The Linac machine will equip the Bristol Haematology and Oncology Centre with the very latest tool to target tumours with millimetre accuracy. Mezze Restaurants plans to install collection points inside some of its venues, add a charity donation option to its card payments, as well as fundraisers. These may include regular cookery demonstrations and cocktail master classes of which a percentage will go directly to the appeal. To make a donation to this fantastic charity please visit our Fundraising page. Friends of BHOC are a charity dedicated to supporting patients at Bristol’s leading cancer specialist centre, the Bristol Haematology & Oncology Centre. They work to improve the environment in which the patients are treated and provide comfort and support to them and their families. The Friends also provide funds for new equipment and research into new treatments. Friends of BHOC are a non-funded organisation and rely entirely upon charitable donations. Half of all cancer patients are treated with radiotherapy, either as their only treatment, or along with surgery or drugs (chemotherapy). 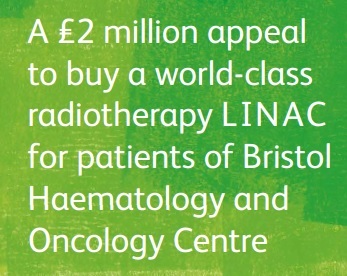 Bristol patients generally receive their radiotherapy on one of the Centre’s highly complex machines called LINACs. The new LINAC is to replace the oldest of Bristol’s LINACs and will feature all of the latest technological advances. Every pound that the Friends raise stays in Bristol. Mezze is dedicated to helping worthy charitable causes. If your organisation requires assistance please email us with full details of your charity and its aims and we may consider you in the next round of applications.